Silversea, an innovator in the ultra-luxury cruise line industry, is proud to reveal the identities of three new Tale Tellers for the company’s World Cruise 2019 – celebrated creatives who will each illustrate one of the nine segments of the extended voyage. Steve McCurry, Alain de Botton, and Sophy Roberts will each embark Silver Whisper for a segment of Silversea’s 52-port voyage, joining Paul Theroux, Pico Iyer and four other Tale Tellers who are yet to be announced. The talented creatives will each host a series of lectures for guests while on board and will produce a literary journal or artwork, inspired by their sailed destinations, to capture their experiences. 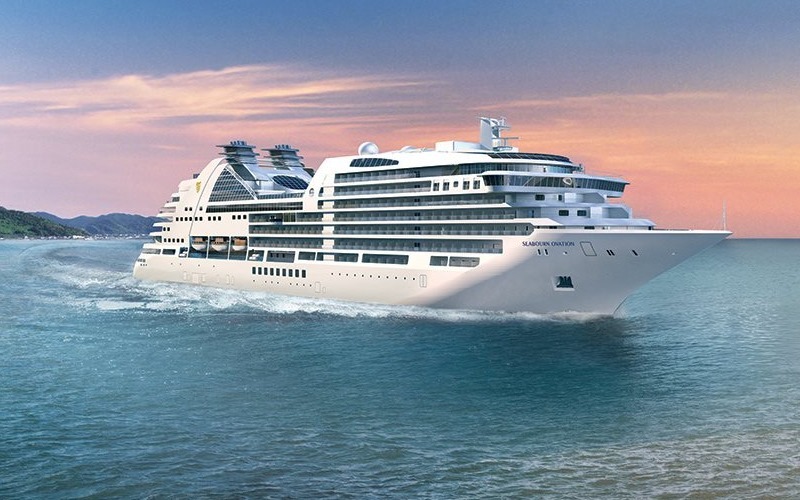 Their efforts will enrich the onboard experience for Silversea guests and will combine to create a fascinating anthology of the voyage, which will be presented as a gift to world cruisers. Steve McCurry has been one of the most iconic voices in contemporary photography for more than 30 years. His work spans conflicts, vanishing cultures, ancient traditions and contemporary culture alike – yet always retains the human element that made his celebrated image of the Afghan Girl such a powerful image. McCurry has been recognized with some of the most prestigious awards in the industry, including the Robert Capa Gold Medal, the National Press Photographers Award, and four first prize awards from the World Press Photo contest. Traveling between Tokyo and Singapore on Silversea’s World Cruise 2019, Steve will capture a selection of images to convey his experiences. A member of the esteemed Royal Society of Literature since 2011, Alain de Botton is a widely published author whose literary works have been bestsellers in 30 countries. A philosopher, a TED speaker, and the co-founder of the School of Life (an institution that guides learners through real-life issues), Alain de Botton is an accomplished writer who is sure to relay a compelling and inspiring tale from his Silversea Cruises experience between Mombasa and Cape Town. Having written for numerous reputable magazines and newspapers, including Conde Nast Traveler, The Wall Street Journal, and the Financial Times, award-winning writer Sophy Roberts will bring a wealth of traveling experience to Silver Whisper, especially in regards to her work in Africa. Her stories focus on remote travel, conservation, and cultural preservation, so the adventurous eighth segment of Silversea’s World Cruise 2019 itinerary – which will see Sophy travel between Cape Town and Lisbon in ultimate luxury – should captivate and stimulate her explorative interests. Commencing from San Francisco on January 6th 2019 and concluding in Greenwich, London, on May 19th, Silversea’s World Cruise will visit 31 countries across 5 continents over a 132-day period. Bespoke land tours complement and enhance the cruising itinerary, offering guests the rare opportunity to explore the untarnished beauty of the path less traveled. Intimate in her proportions and exceptionally comfortable, Silver Whisper is the perfect ship to transport guests to the world’s most amazing destinations in superlative luxury. Her size encourages a close-knit atmosphere of camaraderie among guests, which will is enhanced by the high quality service of the ship’s attentive crew. 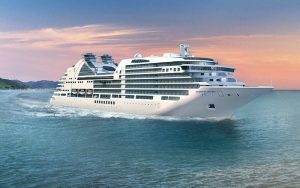 Early booking fares for Silversea’s World Cruise 2019 start from $60,000 per guest. Carnival Cruise Line will offer 17 new sailings to Cuba aboard Carnival Sensation in 2019. The five-day Cuba voyages will be the line’s first to operate round-trip from Miami and feature a day-long call in Havana as well as stops at popular Caribbean and Bahamian ports, including Grand Turk, Grand Cayman, Nassau, and the private destinations of Half Moon Cay and Princess Cays. 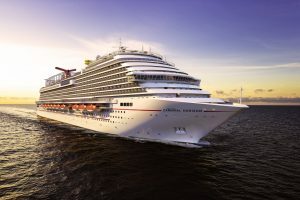 “Our inaugural cruises to Cuba aboard Carnival Paradise from Tampa were met with exceptional guest response and we’re thrilled to expand upon the program with our first Cuba cruises from Miami featuring Havana and some of the most beautiful islands in the Caribbean and The Bahamas,” said Christine Duffy, president of Carnival Cruise Line. “Cuba is a sought-after destination and we’re delighted to provide our guests with even more opportunities to experience and explore this fascinating island,” she added. 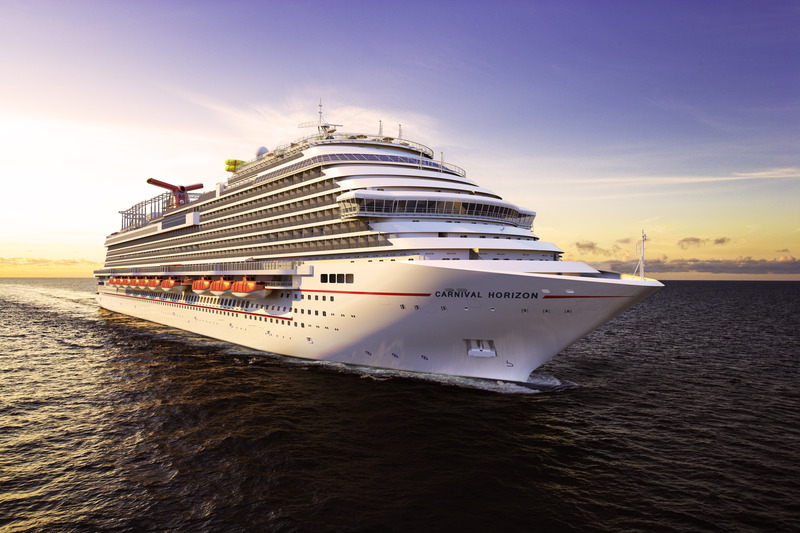 The 2,052-passenger Carnival Sensation underwent an extensive multi-million-dollar dry dock last year that added a variety of popular food and beverage concepts, including Guy’s Burger Joint developed in tandem with Food Network star Guy Fieri, the poolside RedFrog Rum Bar and BlueIguana Tequila Bar, BlueIguana Cantina serving authentic tacos and burritos, the cocktail pharmacy-themed Alchemy Bar, and the Cherry on Top sweets shop. These complement the ship’s diverse array of onboard features, including a WaterWorks aqua park, a Serenity adults-only retreat, 24-hour pizzeria, fun supervised programs for kids in three age groups, and the Seuss at Sea program operated exclusively with Dr. Seuss Enterprises. Guests sailing on Carnival’s Cuba cruises can select from nearly 20 different shore excursion experiences that showcase the island’s vibrant culture, majestic beauty and centuries-old architectural landmarks. A variety of Cuban-themed activities and entertainment, including the sizzling Amor Cubano: A Caribbean Dance Romance Playlist Productions show, Havana-inspired deck parties, trivia contests and salsa lessons, are also offered. 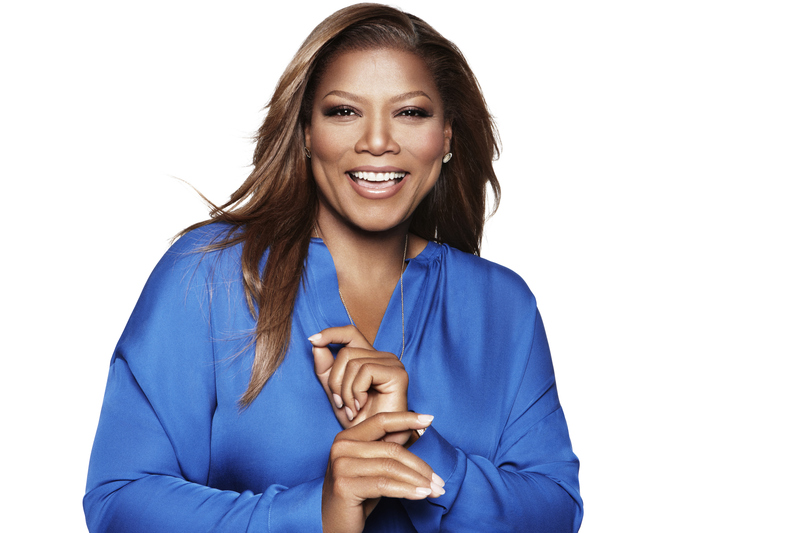 There’s also a lecturer on board who discusses the country’s rich history and culture. PONANT, the leader in luxury expeditions and the world’s only French-owned cruise line, unveils its Summer 2019 brochure with 100 exceptional cruises featuring 11 new sailings. 2019 also marks the maiden season for Le Bougainville and Le Dumont-d’Urville, the latest additions to the PONANT EXPLORERS series. In 2019, the fleet is expanding with the launch of the two latest additions, Le Bougainville and Le Dumont-d’Urville, for a maiden season that will be spent cruising the Baltic and the Mediterranean. With just 92 staterooms and suites attended to by a crew of 110, the PONANT EXPLORERS will offer exceptional comfort, personalized service, and refined gastronomy. Boasting a removable marina platform and a fully-equipped sundeck, the vessels will provide easy access to a number of nautical activities. In a world first, the ships in the PONANT EXPLORERS series also boast a multi-sensory lounge below the waterline. Called Blue Eye, it allows guests to observe, listen to and experience the subaquatic world. During the 2019 season, PONANT will cruise across the seven seas to discover exceptional landscapes, sailing to several continents and hundreds of different countries. PONANT is introducing brand-new itineraries, including the Great Lakes of North America, the tribes of Central America, the unspoiled Bissagos Islands, and the virgin territories of Greenland. A brand-new cruise to discover the east coast of Greenland and its virgin lands, where the first French explorers once walked. L’Austral will take its passengers to meet the Inuit people, sailing through exceptional landscapes on the way: fjords, glaciers, icebergs, sheer cliffs, and polar ice fields. An itinerary sailing to four of the five Great Lakes of North America, between Canada and the United States. A cruise combining nature and culture with picturesque landscapes, history of the Indigenous peoples that lived in the region before the European colonization, charming villages, and big cities. Departs October 6, 2019 – prices start from €6,180 (approximately $7,582) per person, based on double occupancy. Discover the nature reserves, biodiversity and tribes of Central America, with the possibility of visiting UNESCO World Heritage sites: Tikal, Antigua Guatemala from Puerto Quetzal, Cocos Island National Park. The ship also sails to Darien National Park to meet the Embera indigenous tribe. Experience the unspoiled islands with exceptional wildlife and biodiversity, classified as a UNESCO Biosphere Reserve: saltwater hippopotamuses, crocodiles, sea turtles, rays, sawfish, otters, manatees, and dolphins. Other highlights include, visits to traditional villages; encounters with the Bidyogo, a people with ancestral traditions; discover the mangroves, which covers more than a third of the emerged part of the archipelago.